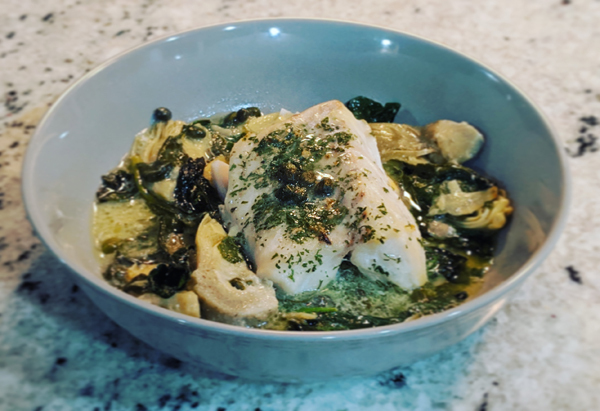 The other night, I made cod with spinach, artichokes, and capers in a lemon sauce, and it was very yummy! Basically, just throw it all into a dish and then put it in the oven at 400 for 20 minutes or so, until the fish is opaque and flakes easily with a fork. And, by request, here is a photo of another one of my fruit plate creations! 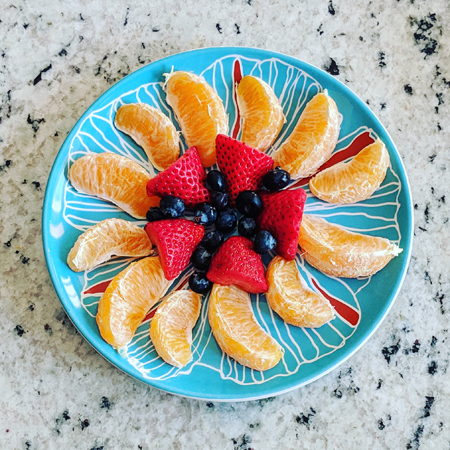 Navel oranges, mandarin oranges, strawberries, and blueberries.